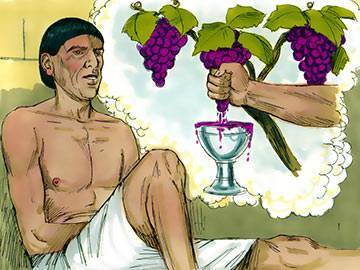 For another story about Joseph, see this lesson in audio-visual format. The story of Joseph is unquestionably one of the most thrilling in the whole of Scripture, which records his life in more detail than is given about the lives of other great patriarchs, such as Abraham and Isaac. Most scholars believe this is because Joseph typifies, more than any other Bible personality, the life and character of our Lord Jesus Christ. The likenesses between Joseph and Christ are so compelling that we cannot help but build our outline around these parallels. Joseph, the son of Jacob and Rachel, was born in Haran before the family returned to Canaan. He was Jacob’s favourite child—an affection due not just to the fact that he was the sons of Jacob’s old age, but also to the innate charm and winsomeness of his personality. God delights in having many sons. Adam, for example, was described as a ‘son of God’, besides all those who have entered by faith into Christ’s redemption (1 John 3:1). No one, however, has brought such delight to the Father’s heart as His ‘own beloved Son’, for only in Him has no flaw or imperfection been found. 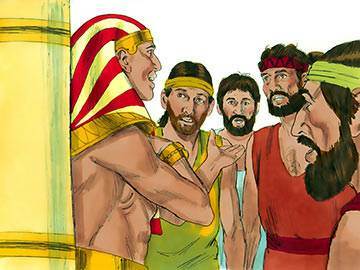 The favouritism which Jacob showed toward Joseph sparked off in the hearts of his brothers a desire to get rid of him. One day when Jacob sends Joseph to look after his brothers’ welfare, they decide to take advantage of this opportunity to plot against him. Although Reuben tried to save him, the other brothers, led by Judah, arrange to sell him to some Ishmaelites who are passing by on their way to Egypt. Joseph is taken from the pit in which they had put him, and sold for the sum of twenty pieces of silver. 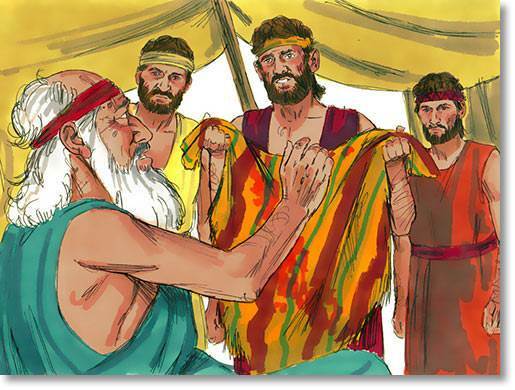 The brothers then take the coat of many colours which had been worn by Joseph, sprinkle it with the blood of an animal and carry it to their father with the deceptive story that Joseph, his beloved son, has been killed. Jesus, too, was rejected by His kinsmen—the Jews—who were His brothers according to the flesh (Luke 20:13-14). But there is an even more dramatic parallel: Joseph was sold by Judah for twenty pieces of silver; Jesus was sold by Judas (Judah) for a similar but slightly large amount. 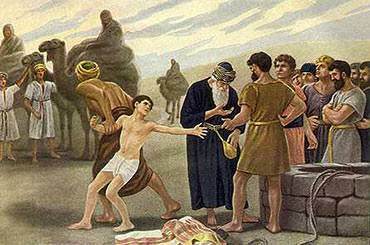 Joseph is carried by the Ishmaelites into Egypt and is purchased in the slave market by Potiphar, a captain of the guard. If he was to be a slave, Joseph determined to be the best of slaves, and to do what he was required to do with a glad and willing heart. So well, in fact, does he do his duties that soon he becomes an overseer in his master’s house. 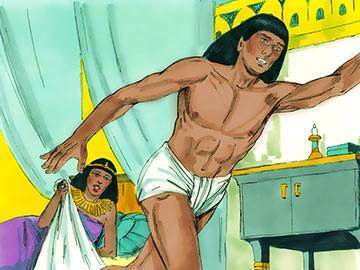 One day, however, Potiphar’s wife attempts to seduce him and although he refuses to agree to her suggestion, he is falsely accused and brought before the master of the house for punishment. Despite the pressures that were upon him, however, no self-pity arises in his heart and his spirit remains unbowed and unbroken. Comb the record of Christ’s days with the most scrupulous care, and what do you find? Though rejected, slandered, tempted, and falsely accused, not once is His sensitive soul ever ensnared into self-pity. Only a heart occupied with love for others is secure against self-pity. 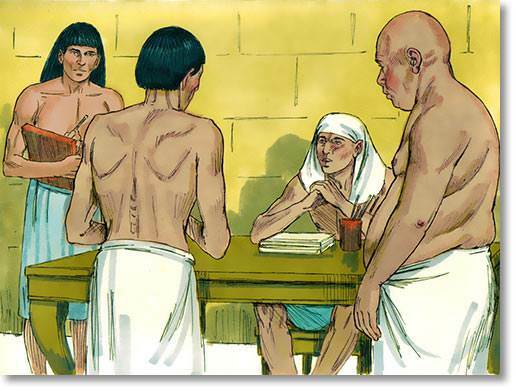 Joseph is unable to refute the slander of Potiphar’s wife, and is thrown into prison. Once again he refuses to give way to despondency and looks for a way to use his many talents and abilities. 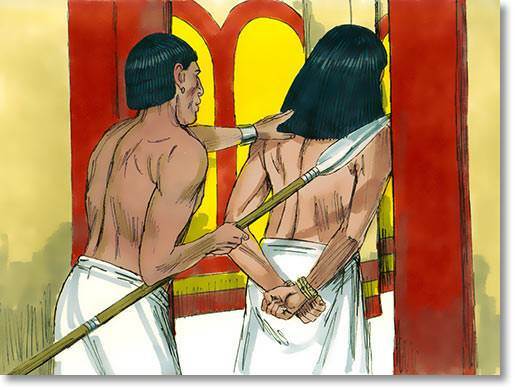 And just as previously his conduct as a slave had approved itself to his master, so now his conduct as a prisoner approves itself to his warder. 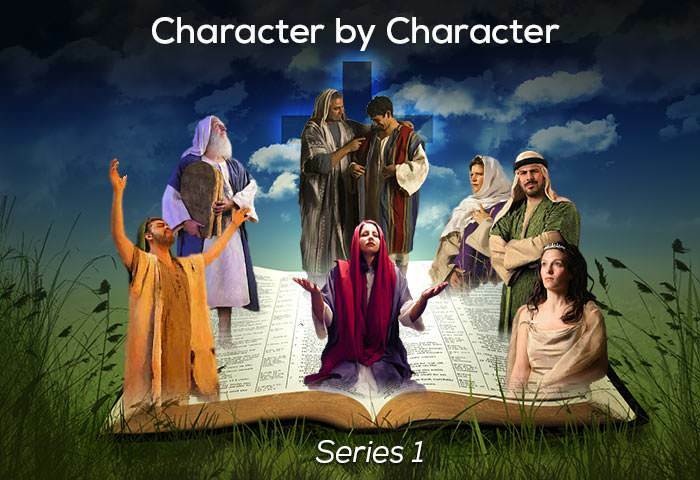 Joseph’s integrity and godliness take a stronger hold on the prison warder’s mind than they did on Potiphar’s—so much so that he commits to Joseph the security of the prison. While in prison, Joseph is able to interpret the dreams of Pharaoh’s butler and baker, and events come about exactly as Joseph predicts. 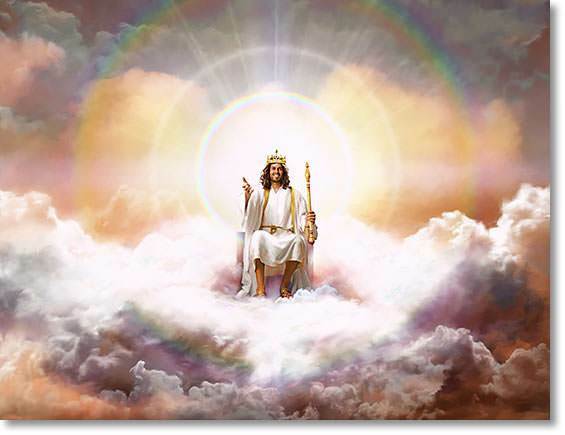 Although Jesus was rejected and outlawed by the religious leaders of His day, on three separate occasions God honoured His Son by speaking from heaven in words of the highest commendation. Why not look up those three references right now? You’ll find them in Matthew 3:17, Luke 9:35 and John 12:28. In a dramatic turn of events, Joseph is transported from prison to become prime minister of Egypt. 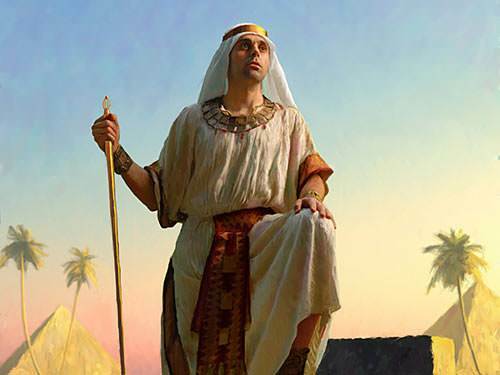 The events that led to this change in Joseph’s destiny have to do with the restored butler who, when he hears that Pharaoh has had a dream which the wise men of his household cannot interpret, remembers how Joseph interpreted his own dream while he was in prison. 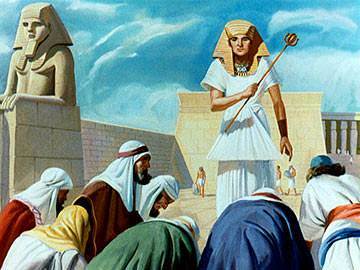 He communicates this fact to Pharaoh who, in turn, invites Joseph into his palace and bids him interpret his dream. This Joseph does to the immense satisfaction of Pharaoh, whose joy is so great that he elevates Joseph to the highest position in the kingdom. Joseph is married to Asenath and has two sons, Ephraim and Manasseh. The distressing effects of the famine are soon felt. 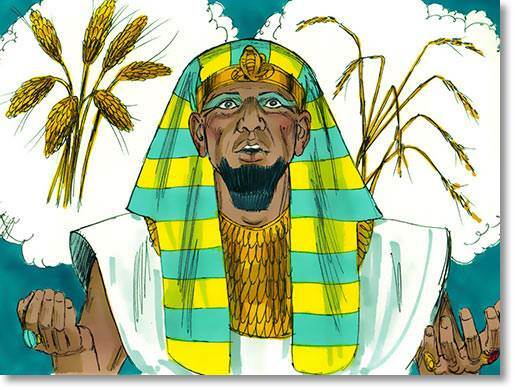 Jacob, hearing that there is plenty of corn in Egypt, at once sends his sons—with the exception of Benjamin—to the favoured nation. 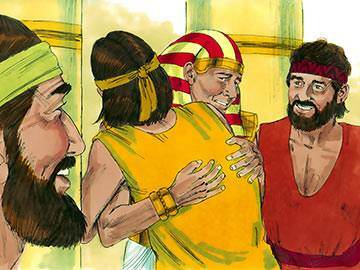 When at last the brothers meet with Joseph, they fail to recognise him, and bow low before him. 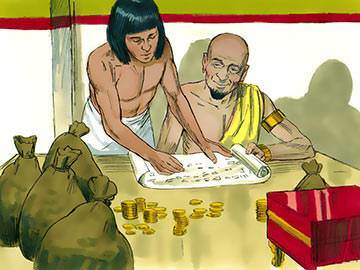 Little do they realise that in that action, they are fulfilling a dream which Joseph told them about many years before. 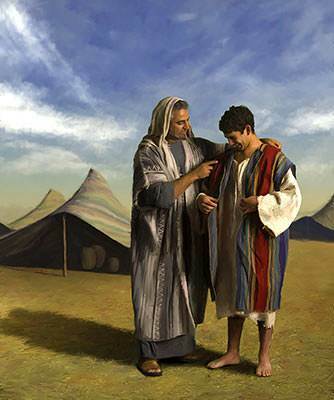 Joseph’s treatment of his brothers from this point on seems greatly uncharacteristic—especially the pain which he brought to his favourite brother Benjamin—but doubtless he embarked upon this strategy under the guidance of God. Occasionally in the Gospels, Jesus seemed to pursue a course that brought pain and consternation to those who were close to Him, but He, too, like Joseph, knew what it was to be guarded and guided by the hands of a loving God. One of the most moving scenes in the whole of Scripture is the moment when, in response to Judah’s appeal for Benjamin’s release, Joseph reveals himself to his brothers. It is impossible to imagine the stunning effect the words, “I am Joseph”, must have had upon the assembled group. Remembering their cruelty to him, what terror and remorse would have arisen within their hearts. Joseph shares with them the secret of his own perfect peace and poise: “You sold me…but God sent me”. He saw the whole of his life as divinely guided, and had been supported by the fact that everything that had happened to him had furthered the wonderful purposes of God. Ponder the parallel between the words, “I am Joseph”, and similar words spoken by the Son of God to Saul on the Damascus road: “I am Jesus” (Acts 9:5). Both were revelations that could have struck terror, but instead brought salvation. Joseph is one of the most inspiring characters in the whole of Scripture. Unlike his often-erring father, Jacob, the errors and mistakes of Joseph are so insignificant as to remain unrecorded. He was one of the few people who were able to maintain their spiritual poise at the peak of success as well as in the midst of trouble. Even though his tremendous organisational ability, his patience through tribulation, his faithfulness in fame and success and his forgiving spirit are all tributes to his character, what stands out above all else is his conviction that God had a specific purpose for his life, and neither his brothers nor Potiphar’s wife could interfere with that purpose. He moved forward in the quiet conviction that his life was not merely a succession of coincidences, but was being directed by a loving God.